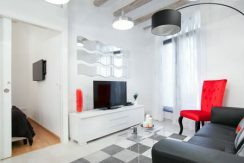 Price : 1.050€ | Deposit : 2100€ | Agency fee 3 to 5 months : 890€ | Agency fee 5 to 11 months : 1271€ . 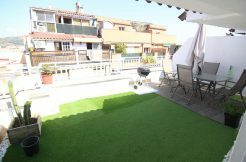 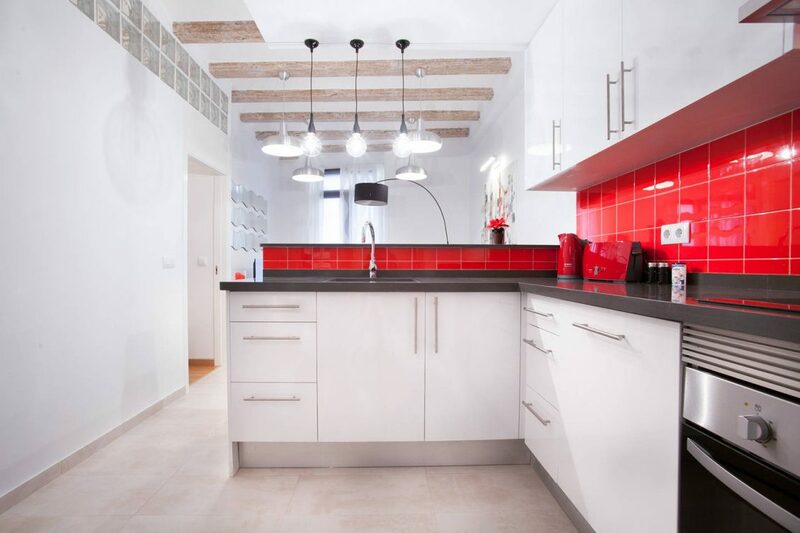 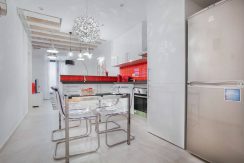 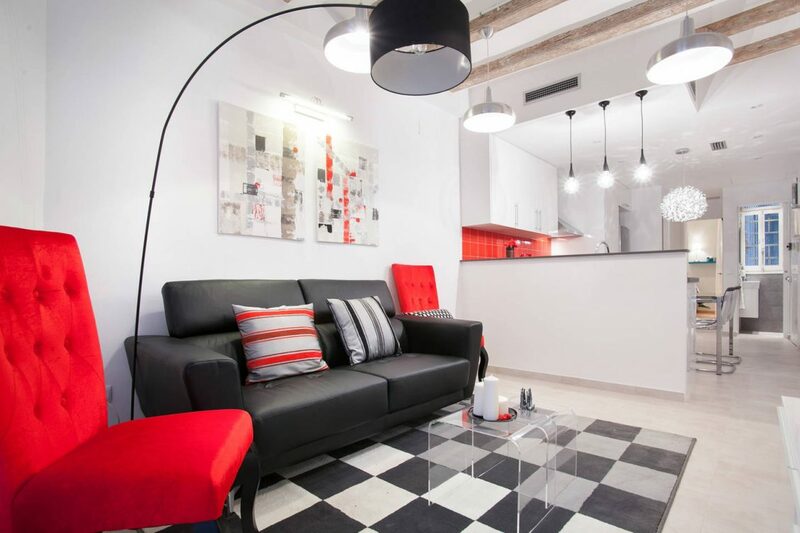 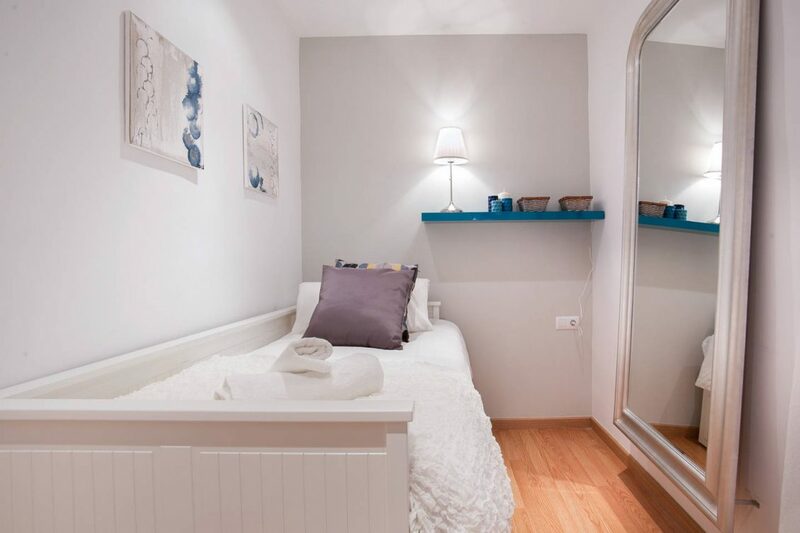 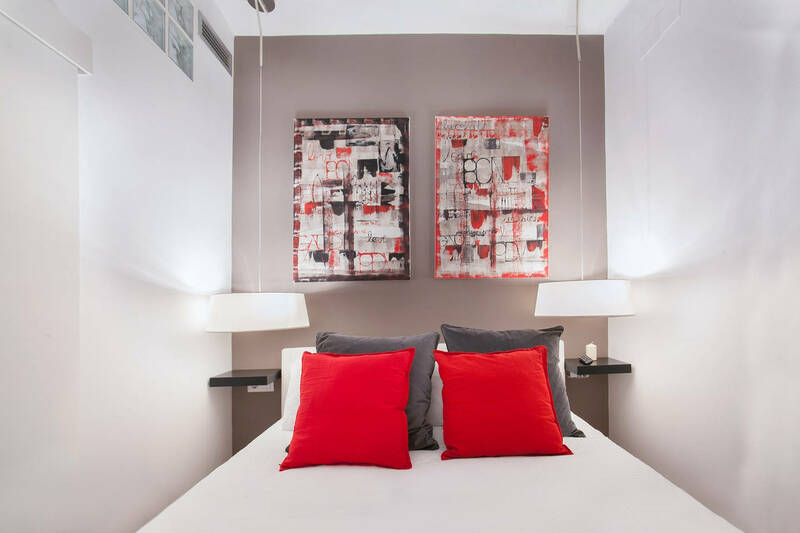 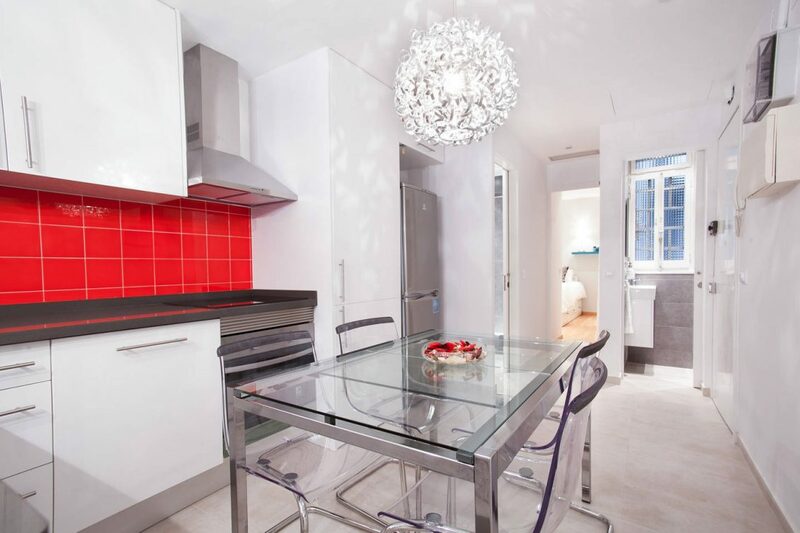 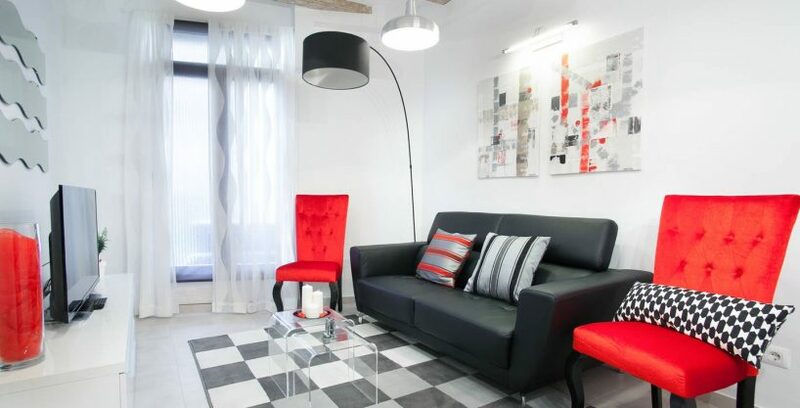 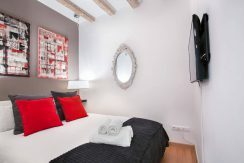 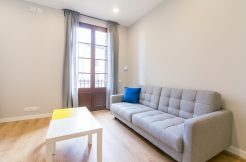 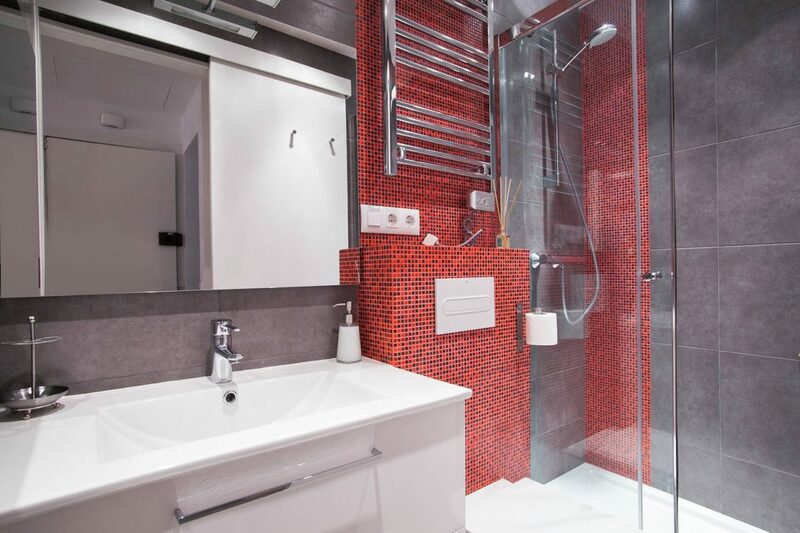 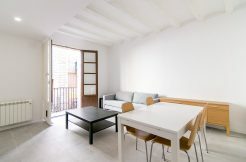 Charming and colorful 60m2 apartment located in the Raval district, very active and lively area of Barcelona. 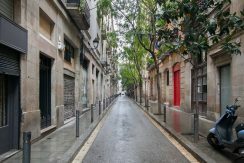 This area has a strong cultural identity and is ideal for young people wishing to enjoy the bars and restaurants without the look of tourists that can be in other areas. 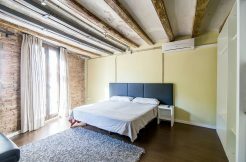 The apartment is composed of two bedrooms, one double, the other with a single bed that can be converted into a double bed. 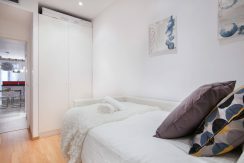 Dance this second bedroom you will find a dressing room. 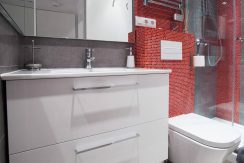 The apartment has separate WC and a bathroom with shower, sink, and toilet. The kitchen is open to the living room and the dining room, which can accommodate four people. 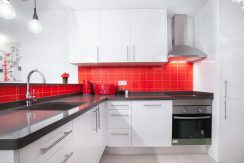 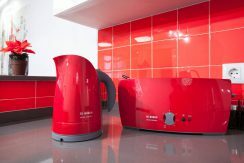 The kitchen is equipped with an oven, dishwasher, washing machine, and induction hob. The living room is colorful and bright, a balcony can air the apartment and enjoy the sun. 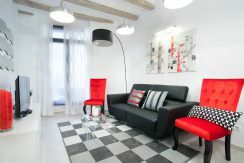 The living room consists of a sofa and armchairs and a TV area. There is also a wardrobe to store your belongings.